CMP is excited to be exhibiting at the Offshore Northern Seas (ONS) Exhibition in Stavanger, Norway. With over 1,200 companies from 40 countries exhibiting across 9 different halls, it’s one of the biggest events in the Oil and Gas calendar and one not to be missed. When oil and gas was discovered in the North Sea, the need for a meeting place for the companies involved in this new industry emerged. ONS was held for the first time in 1974, and has more than 40 years of proud history. ONS is a non-profit foundation, and was established by Stavanger City Council, Statoil, Stavanger Forum and the Norwegian Petroleum Society. The 4-day event runs from 29th August until 1st September and is set to be full of business meetings, networking, stand presentations, product demonstrations, press conferences and discussions on clean energy issues at ONS’ own Centre Court. We are teaming up with our key Norwegian distributor, Stahl-Syberg & Tranberg, on Stand 77A in Hall 7, and will be showcasing our new A-100 series cable gland, as well as the rest of our cable gland and cable cleat range. Our technical experts will be on hand at the stand to answer any queries and discuss any project opportunities you may have. Come and join us to view an animated demonstration of the new product offering and find out why the A-100 series’ unique design removes the need for a cable clamp or cleat close to the point of entry where the cable gland is installed. 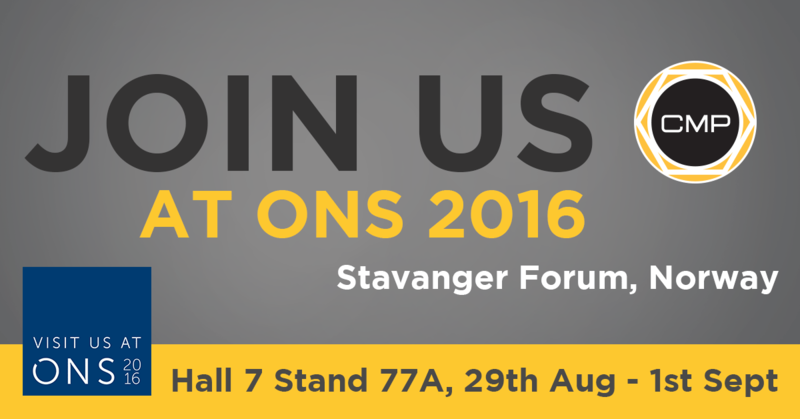 ONS 2016 marks the first exhibition launch of the product line and we are excited to shout about it.